I don’t know about you, but sometimes I go to the market not knowing what to cook. The other day was such a day. I went to the market to see what fresh ingredients were available so that I would have ideas on what to cook. Lo and behold while browsing through the fish stall in the market, I saw this fresh red looking fish (red snapper) staring at me and immediately I decided to make this steamed fish with ginger puree/paste for dinner. 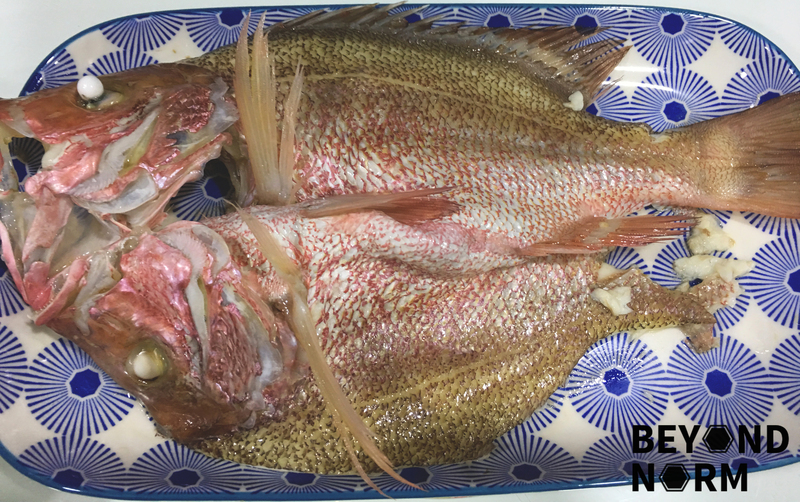 Not sure if you realised that my fish was butterflied wrongly, it wasn’t me but my fishmonger’s new apprentice; she sliced the fish upside down and so now my fish looked weird. 😦 Never mind about that… The outcome of the steamed fish was just beyond description. The fish meat was tender and the topping of the ginger puree/paste was an additional bonus to this dish. So glad to meet you Mr Fish!! Cut the ginger into small slices. Put in the blender with some water added slowly to help in the blending. 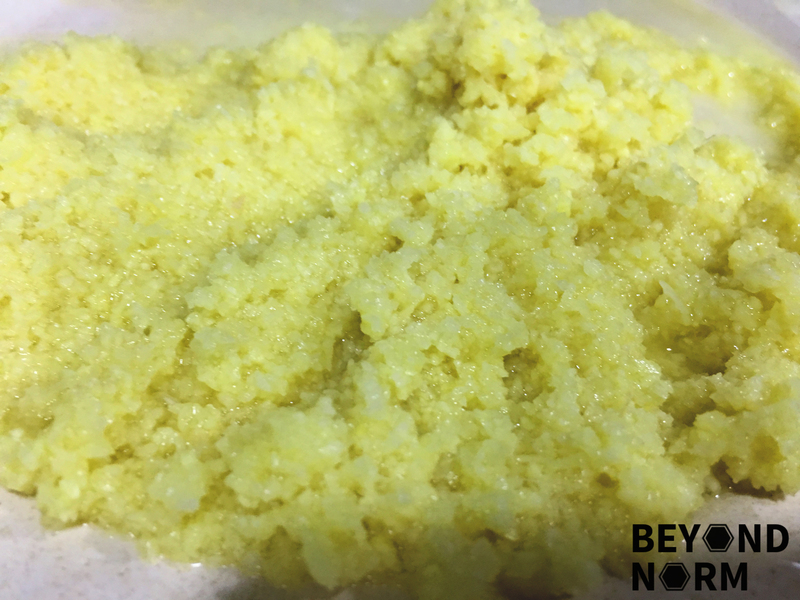 Blend until the mixture appears smooth and fine in texture. Set aside. 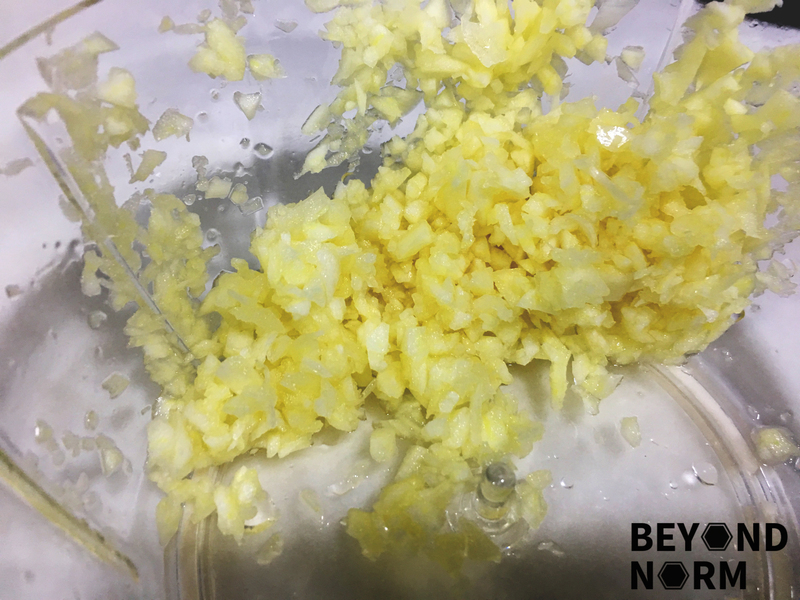 Mix the ingredients for the seasoning in a small bowl except the minced garlic. Set aside. 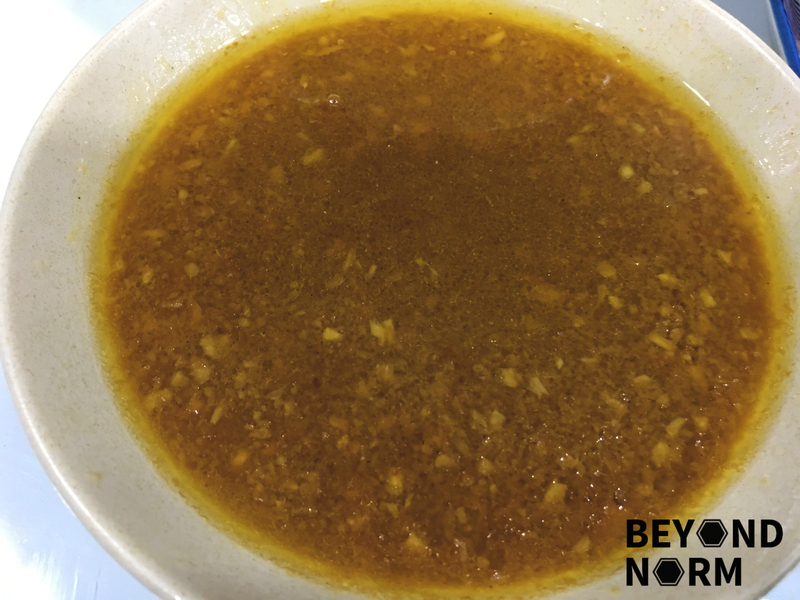 While the fish is halfway steaming in Step 13, heat up the oil in a saucepan on medium low. Add in the minced garlic and fry till fragrant. Add in the ginger puree and continue to fry for 2 minutes. 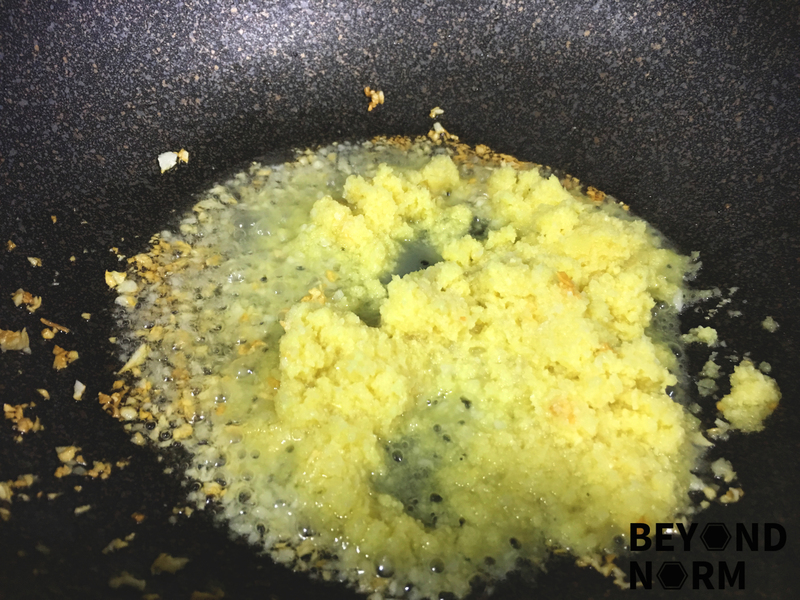 Add in the seasoning sauce and stir till rock sugar has dissolved. Keep it hot. Cut along the spine, from head to tail and loosen the fillet on each side of the fish. (The fishmonger has helped me with steps 1 & 2). Put two wooden chopsticks on the plate and place the fish on top. 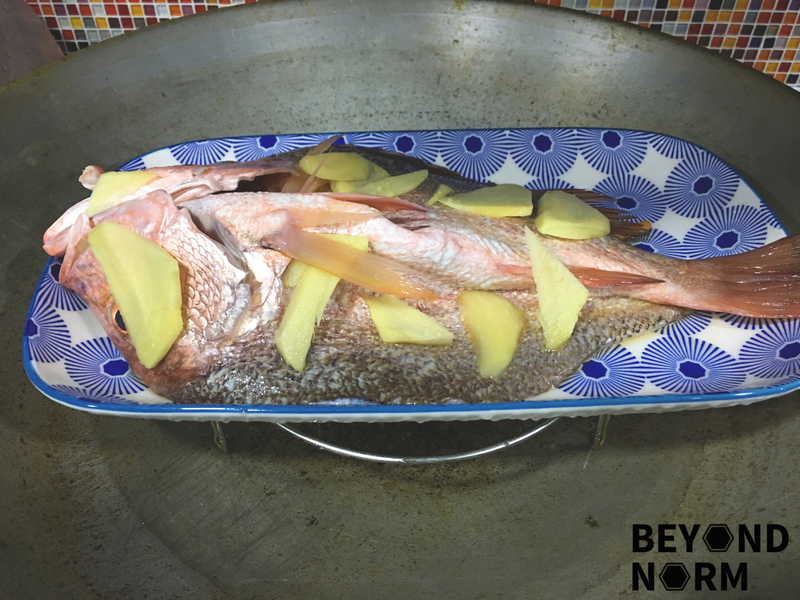 Put the sliced ginger on top of the fish. Heat up the water in the wok and bring it to boil. As soon as water boils, place the fish inside the wok and cover wok tightly and steam it for about 8 to 10 minutes. As soon as the fish is done steaming, transfer it out from the wok. Remove the wooden chopsticks, discard the fish water and ginger slices. Pour the hot ginger puree/paste sauce over the fish. Garnish with the spring onions and cilantro and serve immediately.